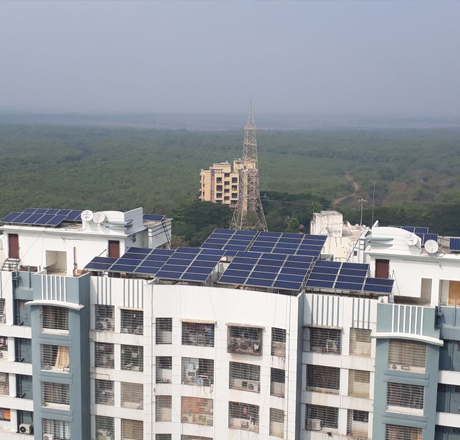 We would like to introduce ourselves as MNM Solar Power Systems, Authorized Dealers of ‘Tata Power Solar Systems Ltd’ dealing in 'Ground & Rooftop Solar Power Systems' based in Mumbai with business transactions in & around the State of Maharashtra. Founded in August 2016 by college friends Mr. Mahesh Kulkarni and Mr. Neelesh Vartak, both B. E. in Production Technology from Mumbai University, MNM Solar Power Systems, a Partnership Firm having Registered Office in Mumbai, boasts of a powerful team of 14 highly educated & skilled professionals who have successfully installed & commissioned over 700kW of On-Grid Rooftop Solar Systems in & around Mumbai. Copyright © MNMSPS 2017. All rights reserved.